The anticipation for this album has been too much, but its finally here. According to some stadistics, “Born This Way” is supposed to sell between 750K to 1 Million copies worldwide, can you tell mostly everyone loves Mother Monster? Yes, I love me some Lady Gaga. After going to two Monster Balls I was pretty much done, I criticize artists out there who put up shows and don’t even care about singing live. Lady Gaga is THE biggest name in Pop at the moment and to my opinion the most thankful for her fans, so any Little Monster out there will of course love “Born This Way”. Yet, the hype for this album was so great in a slight, slight way it didn’t live up to my expectations. Hold on, this doesn’t mean I don’t like it no, I do like it I just wish I loved it. “Born This Way” features songs that are too oversynthesized and you guys, there’s 22 songs including bonus tracks, that go to that electronic sound at some point and it becomes dull, BUT I see what Gaga is trying to do: songs that are going to be in the top of the charts. And as eeeverybody is using the same electro-synth-pop-dance, I guess its only right for Born This Way to be that way too. Even though, it does have some ballads like “You and I” and “Marry The Night” for example, that even out the album. In my opinion, the religious innuendos throughout the songs are now a bit overused, and it sounds a little Madonna-esque trying to defy the Church and whatnot, and it seems like Gaga is trying too hard to create controversy and of course, I know people are going to tell me “But she doesn’t mean it literally!”, yes, but use it in one or two songs, but not in most songs saying things like “I don’t believe in you Jesus Cristo” you know? There’s a lot of themes in the album: freedom, identity, immigration, gay rights, religion, all aiming for an impact within her fans. I wish “Born This Way” was more pop-ish, like “The Fame” and “The Fame Monster” were, albums that I still hear today and make me want to go dance. Don’t get me wrong. “Born This Way” is a very danceable album but I was expecting an epic song like “Bad Romance” to come out of it you know? 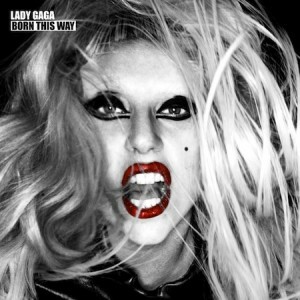 My favorites are “Edge of Glory”, “Marry The Night”, “Bloody Mary” and “Judas”. “Born This Way” is available at our TYF Store! Next ArticleConcert Review: ADELE is phenomenal live!